Are you increasing your email marketing campaign strategy in 2014? It’s not surprising if you are. It’s an effective way to build customer relationships, improve brand awareness, create loyalty, distribute information, and ultimately achieve more sales. Email marketing is the one tool that’s low-cost yet has the potential to grow your business significantly. In fact in 2014, 56% of businesses plan to increase their use of email marketing. Why? Because email is the most popular activity on smartphones among users between 18 and 44. So if that’s your target audience, then it’s certainly something you should be doing more of this year. Of course, many email marketing campaigns don’t work as your business may want them to, for which there could be a number of reasons. Such as; badly written content, the message is confusing, multiple messages with no clear call to action, no follow up, no personality is projected, trust hasn’t been built yet, and the list goes on. So here are a few ways to ensure your email marketing campaigns succeed. Autoresponders make life easy for you. They allow you to stay on top of a campaign every step of the way. The number you include very much depends on your campaign, your offer and your objective. For example, autoresponders work especially well with time-limited offers. Each message dispatched should build on the sense of urgency and ensures none of your mailing list miss out. Your objective is to get each one of your mailing list to take advantage of your offer, whatever it may be. And for that to happen it’s important to stay personable and friendly. Consumers are savy and given the internet has made the world a very small place, they are less likely to be duped into buying something. Creating trust by being ‘real’ is a very important step to building loyalty with your customers. Staying open and friendly throughout the sequence will bring you closer to achieving the results you want. 3. Don’t forget to ask them to white list you. There will always be times that SPAM filters stop your email marketing, although with good copy this shouldn’t be too much of a factor. But an easy way round this is to remind them to add your email to their list of safe senders. At the beginning. A good tip here is to send this reminder email in plain text format as it is less likely to be blocked. However of course that depends on the sequence of emails you have scheduled to dispatch. 4. Watch out for SPAM filters, but don’t obsess. Your email provider should flag parts of your content that are considered more ‘spammy’ than others. But don’t get too hung up on this as you do need a degree of persuasive talking to get your subscribers to do what you want them to (and often that’s the type of content that is classed as SPAM). But again there are ways to minimise this risk. By keeping your email short and sweet and directing traffic to a sales landing page instead, you overcome the potential SPAM issue and can bathe in the luxury of writing as persuasively and openly as you want to close the deal. Of course it goes without saying, you’ll then have to concentrate on a very strong call to action in the email so that your subscribers bother to click-through to the sales page. Okay, so it’s all very well having a great offer to share with your database of potential and past buyers, but what if your mailing list isn’t all that large yet? Display testimonials from existing happy customers and you are creating proof that your product or service works. People are creatures of habit, mainly. And not many of us like to be the first. The guinea pig! So by flaunting the merits of your product or service to potential new customers by showing them what existing customers think, you’re overcoming any ‘being the first’ negative thoughts. 2. Lure them with exclusivity. Social proof is essentially all about groups. People want to be part of a group. Sticking with like-minded people. So create your message that entices new people in with the promise of being part of an exclusive group – they get added benefit of being part of that group, rather than just sitting on the side-lines. The power of social media is still strong. And it’s not likely to go away. So as your existing subscribers to share your content on Facebook, Twitter, Google+ etc. Who better to promote your services or product than happy customers. Make sure you’re giving them the tools to do that, and don’t be shy about asking. If you don’t ask, you don’t get! 4. A strong direct call to action. Don’t tiptoe around when you want people to subscribe or take action. Tell them exactly what you want them to do. Direct strong words subconsciously exude to the reader that they are doing the right thing by listening and acting. LIMITED TIME OFFER: Download your FREE eBook today! Which one would make you take action? 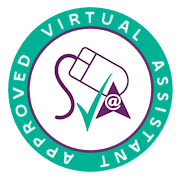 Professionally I'm a smart, highly organised, motivated and experienced Virtual Assistant who takes great pride in the business support services I provide. How can Law Firms use Virtual Assistants?